We welcome Isaac Schankler to the Aerocade Music roster! Meg Wilhoite previewed Isaac’s upcoming album Because Patterns and interviewed them to learn more about the album and their process. 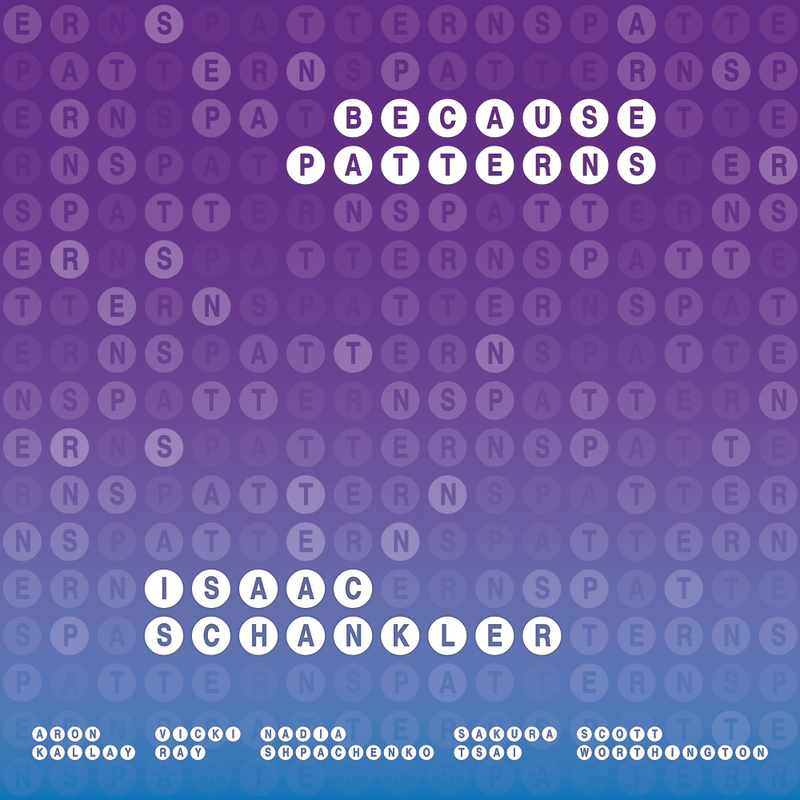 In their aptly-named album Because Patterns, composer Isaac Schankler explores three approaches to creating and manipulating musical patterns, carrying out a full integration of electronic sonic environment, mathematical compositional procedure, and acoustic performance. 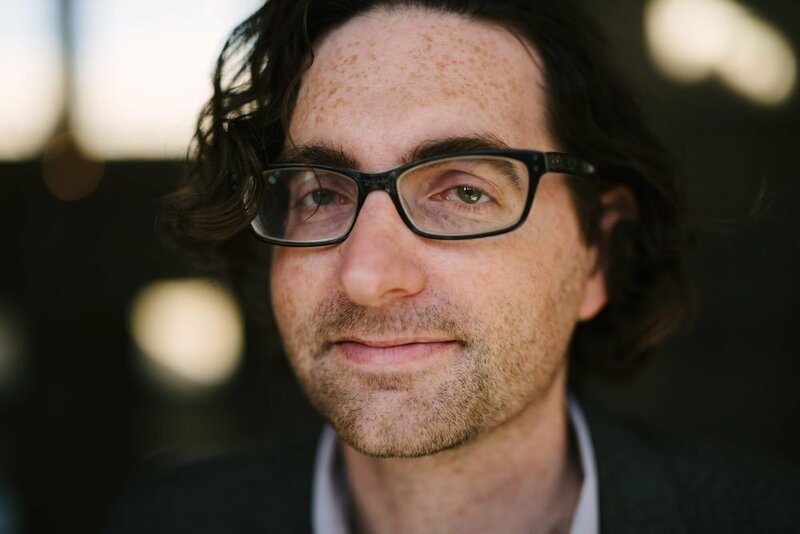 The overall effect of the title track, “Because Patterns/Deep State,” is that of finespun electronic swells punctuated by the percussive sounds of the piano, performed by the Ray-Kallay Duo, who commissioned the piece. Incorporating a mathematical model called a cellular automaton, the musical patterns begin with a single seed and shift organically according to the rule assigned to it. As the title suggests, there is an element of Deep Listening in this piece—performed by double bassist Scott Worthington—as from minute 17:30 to 20:30 we settle into a sotto voce electronic hum that is present-only, with no sense of past or future. Subtly, quietly the piano returns, a distant echo from earlier in the piece, nestled deep within the electronic texture. The electronics and violin in “Mobile I” are interlaced by means of spectral analysis, as the electronic sounds are a reaction to violinist Sakura Tsai’s fragmented statements. The former keen and hum around the latter, creating the sense of a large, open structure in which the violinist is centrally situated. The final minutes of the piece shift to a more active texture, the electronics and violinist merging in polyrhythmic arpeggios. The final track, “Future Feelings,” performed by Nadia Shpachenko, features alternately swirling and languid piano figures overlaid with hissing static and Morse code-like blips panning between the ears. Later on in the piece, the electronics also provide occasional low, reverberant hums. While the piano hints at past styles of lush vibrations, the electronics pull the listener into the noise-filled, pulsating present. Because Patterns will be released on May 31, 2019. Sign up for our mailing list to be notified when Because Patterns comes out. Meg: Is Because Patterns a nod to Feldman’s Why Patterns? Isaac: It's a nod to the title more than the piece or Feldman's music. I always thought “Why Patterns?” was a strange kind of question, because really patterns justify themselves. We can't help but make sense of the world through patterns, through making connections between disparate things. That's one thing people and machines have in common too, and much of our lives is now mediated by patterns created by algorithms, for better or worse. So for a long time I’ve been interested in what happens when there’s too much or not enough information to truly discern a pattern. What happens when a person or machine starts seeing patterns that aren’t really there? So a lot of the piece Because Patterns/Deep State consists of gestures or motives that are moving either too quickly or too slowly to really get a handle on. So you have to make a decision about what's really important, and maybe in the end it's not the patterns? Maybe it's something else. Meg: What program(s) do you use to make the electronic tracks? I'm particularly interested in the "ongoing spectral analysis" you mention for Mobile I.
Isaac: I use a variety of things, but mostly Max/MSP for anything involving live electronics. The "ongoing spectral analysis" in Mobile I is basically a glorified pitch tracker that also detects harmonics, but what I liked about it for that piece is that it was a little unpredictable. It wasn't perfect, so sometimes you'd get the correct pitch, but other times you'd get another pitch that was related. So there were these microdeviations that you could use to create textures. If the pitch tracker worked perfectly the piece wouldn't be nearly as interesting. This is something I worry about actually, if the pitch tracker gets updated the piece might become obsolete. It’s also a tricky thing for the violinist to react to the electronics and remain on track, and I love the way Sakura Tsai plays it on the album, how it manages to feel improvisational and polished at the same time. Meg: At what part of the compositional process do creating the electronics and writing the instrumental parts first meet? Do you generally start with one or the other, or do you develop the two strands concurrently? Isaac: I wish it was more tidy, but often it's a kind of back and forth where the electronics will affect the instrumental material and vice versa, so sometimes the process takes a lot longer than I would like. Because Patterns was originally an acoustic prepared piano piece with plinky music box-like material that was composed with the help of some algorithms (specifically cellular automata). It was written for the Ray-Kallay Duo, and it demands a lot of precision and tight coordination from them. Deep State, which was written for Scott Worthington, is almost the opposite. 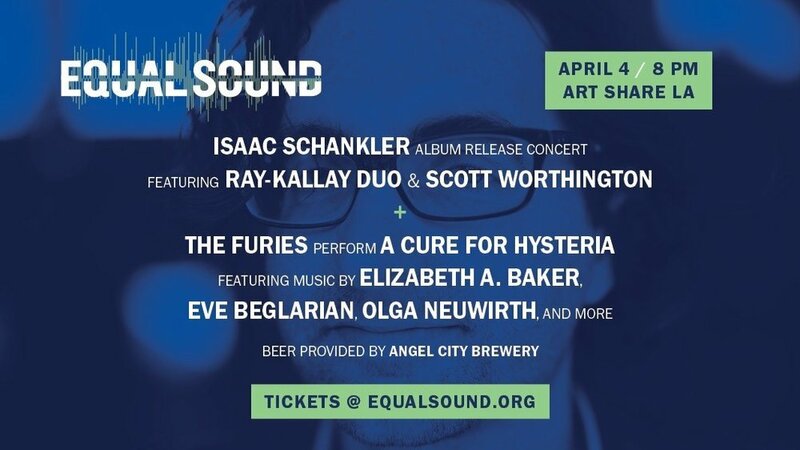 It was originally a somewhat improvisatory piece with low bass drones being frozen and extended by electronics, and Scott provided a ton of valuable input that really shaped the piece. But while those pieces worked great live, they seemed strangely incomplete on a recording. We expect recorded music to saturate the frequency spectrum. Also the pieces seemed to be in dialogue with each other, working out some of the same kinds of ideas but at very different time scales. So I thought it would be fun to mash the pieces together, which made the mixing process vastly more complicated than I anticipated! I added a lot more electronic sounds after the fact, including sampled pianos that would frequently double the recorded pianos, bringing out different aspects of the sound like mechanical key noise, pedal resonance, things like that. For a while I had a lot of inner turmoil about whether or not I was allowed to do this, to ruin the real piano sound with "artificial" samples. Meg: I'd love to hear more about your compositional process. For instance, in terms of the piano part, “Future Feelings” has a very Romantic vibe in places, particularly in terms of the figuration—how does music of the past inform your process? Isaac: That piece in particular is deliberately nostalgic, not just for Romantic era music but also for the time in my life when I was most engaged with that kind of music, i.e. an angsty teenager. At that time I wrote that piece my kid had just been born and it was really surreal to watch him react to music, to essentially discover music, and it brought up a lot of thoughts and feelings about the music that first really moved me. I was also thinking a lot about noise and the soothing effect noise has on babies, and I really wanted to make a quiet, soothing version of noise music. The first part of the piece is based around that, and the Romantic-inflected music gradually emerges from that texture. Nadia Shpachenko, who commissioned and premiered the piece, specializes in this kind of repertoire, and she really makes this part sound incredibly gorgeous. But I'm also suspicious of nostalgia, so there's a moment where that material cracks open, because in the end you can't really go back to that era. I guess it's fueled by a kind of hope and optimism that my kid, and by extension all people younger than me, will go beyond me in ways I can't even imagine. I want to see them break the patterns of the past. Meg: Earlier you mentioned allowing yourself as a composer to double the pianos in the first track: Over the years as a composer, has there been anything you wish you could go back in time and tell your younger self? Isaac: Oh geez, so many things! But I think most of all I wish I could tell my younger self to take the advice of my teachers and mentors with a grain of salt, and that it’s okay, even good, to go against their advice sometimes. I realize this is a slightly dangerous thing to say as a teacher myself. But I’ve found that a lot of composers, especially highly successful ones, have never really interrogated their own aesthetics and processes, and assume that they are universal ones. They then try and pass these biases on to students, instead of teaching students to listen to and develop their own instincts. I’m still trying to unlearn a lot of anxieties and hangups I internalized a long time ago, and it’s something that I hope the next generation of composers doesn’t have to deal with. Meg Wilhoite is a writer, electronic musician, and former professional organist. 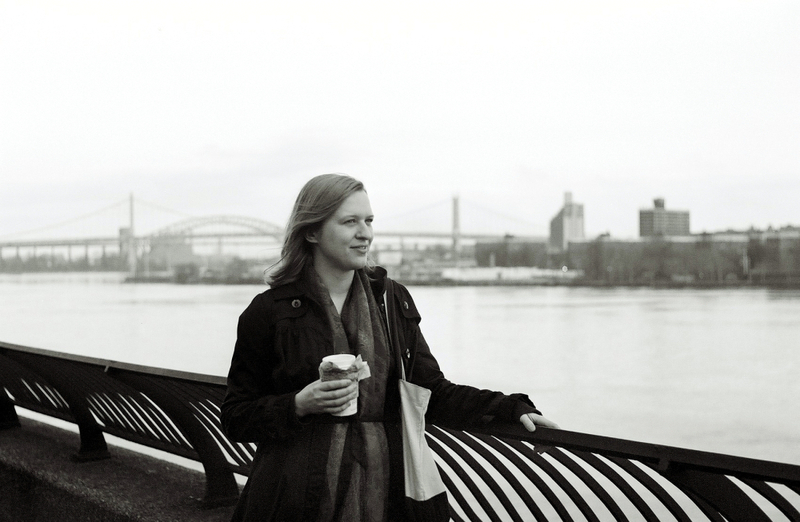 For over a decade she blogged about the New York City new music scene, in addition to programming concerts and working with various collectives and ensembles. When she's not listening to and writing about new music she likes to program her beloved synthesizer.